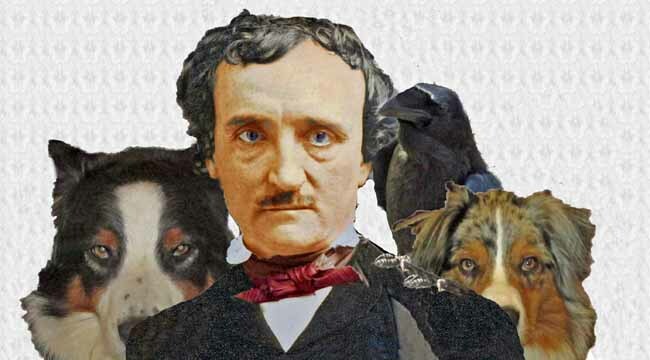 Edgar Allan Poe on Crosscurrents, 1/19 – Doggedly Yours… Howling, Humor, and History. Known for his poem “The Raven” and for his chilling tales of the macabre, considered as the inventor of the detective fiction genre – Edgar Allan Poe was born on this day in 1809. Gavin and Wyatt are ready to herd the raven back through the window of Poe’s window. You will not be “alone” near the “pit and the pendulum” when you hear the “Eldorado” “tell-tale heart” as you listen to Poe’s birthday “bells” of “the haunted house” on Crosscurrents, 1/19 at 8 a.m.